“Grace” by Wataru Sugiyama is standing in front of “Over, Under, Sideways” (detail) by Vince carl. Our Annual Salon will include work by all gallery artists. 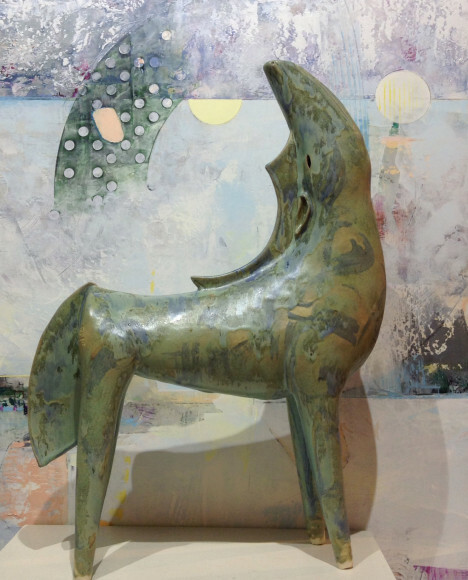 Featured work includes paintings, encaustics, woodcuts, monoprints, sculpture – mixed media, bronze, wood and ceramic. This exhibit is scheduled from November 25 – December 31.